The EHF has signed a two-year agreement with the company, Sport Transfer, to supply goals for its top events including the Men’s and Women’s EHF European Championships as well as the final tournaments of its Young Age Category competitions. As official goal supplier to the EHF, the company will provide goal systems to be used in official competitions including the Women’s EHF EURO 2014 in Hungary and Croatia, Men’s EHF EURO 2016 in Poland and Women’s EHF EURO 2016 in Sweden. The Sport Transfer goals have been through a testing and development phase in cooperation with the EHF, which has already seen the goals implemented during the 2014 editions of the Men’s and Women’s EHF FINAL4 events. The EHF and Sport Transfer have been partners since 2012 with the company providing goals for the European Beach Handball Championships and European Beach Tour Finals. The two-year agreement was signed by the President of Sport Transfer, Karolina Baluk, and EHF President, Jean Brihault at a meeting in the EHF headquarters on 14 November. Commenting on the agreement, Karolina Baluk, said: “The deal is very important for Sport Transfer to ensure wider exposure across Europe and to show our top quality product, which is a priority of ours in every sport, whether it is volleyball, basketball or handball. Sport Transfer was established over 20 years ago. During this time the company gained experience on Polish and European market offering high quality sport equipment. They have equipped many sports halls across Europe. Sport Transfer has been an official EHF partner since 2012, providing beach handball goals for European Beach Handball Championships as well as the European Beach Tour Finals. 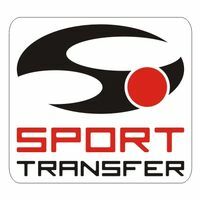 More information about the company can be found on the Sport Transfer website.